First off, I'd like to wish everyone a Merry Christmas. And in a lovely red font, no less. This year I thought it would be nice to paint something as a Christmas gift for my daughter. She's a lover of animals, especially horses. I watch her when we go on walks, and the curiosity, respect and genuine love she has for animals is amazing to me. Her affection for the equine creatures comes as no surprise; what with they're strength, beauty and independence they seem to issue as they gallop. No doubt this is a departure from the subject matter I've been working with lately. But at the risk of sounding cliche', I must say it was quite therapeutic. The subject matter, indeed; but more so the idea this will be given to a person I love dearly. I hope she enjoys it. Paul Komoda, Erick Sosa and Norman Meyers. Death Corps Zombie is a 1/2 scale bust impeccably cast by Steve West of Cellar Cast. Measuring in at 13” tall, Death Corps Zombie is without a doubt one of the nicest pieces of art I’ve had the pleasure to work with; both in terms of casting quality and sculptural detail. This piece has a look that’s best described, (in my opinion) as an amalgam of H.R. Giger, Takayuki Takeya and Yasushi Nirasawa; all polished with Paul Komoda’s own obsessively detailed fingerprint. Death Corps Zombie in a nod to the Germans ever captivating interest in the supernatural and the occult during World War II; the desire to create a squad of devastating, undead soldiers on the battlefield that were deemed unusable and ultimately too difficult to control. The Zombie is depicted from the chest up in uniform with goggles, and is totally scarred with fantastic details by the hands of Mr. Komoda. The textures of the zombified skin range from desiccated to pitted, pruned, and taught; textures reminiscent of fish bones with all the tiny pits and etched lines that appear to be crafted by Mother Nature. Even the short cropped hair has an incredibly fleshy look to it with the worm like, backwards swept flow. All skillfully placed onto an accurate study of anatomy. With a stoic expression and upright military posture, the detail doesn’t stop there - the undead soldier’s uniform is a work of Art in itself, completing the look of a thing that’s been lying decades in wait beneath a lagoon. A uniform with a look so organic, it appears to have been grown onto the zombie. I should not forget to mention the SS lightning bolts and Deaths Head pins on the collar to complete the authentic look. All this wonderful detail is lies atop an uber smooth base refined by Toi Ogunyoku Jr.
As I mentioned previously, the casting quality is impeccable. All that is required to prep for painting is to remove a very weak seam line over the shoulders and head. It’s so weak, in fact, you could most likely glare at it threateningly and it would melt away. No offset lines or air bubbles, and the light gray resin even has a nice pungent odor too, reminding you that there’s an undead Nazi soldier that needs painted in front of you. The bust comes neatly packaged in an artwork adorned box and simple instructions featuring information about Artist Proof Studio. I think it’s fantastic the talented individuals at Artist Proof are bucking up and visiting some extremely original and atypical subject matter. If Death Corps Zombie is any indication of what's on the horizon for this burgeoning clay provocateur cult, then I feel like we're all in for an unusual and interesting trip. The Death Corps Zombie bust can be acquired from Norman Meyers, at zombiejesus11@gmail.com for $140 plus shipping. To keep abreast of what's brewing in the ever frothing vats at Artist Proof Studio, click here. A.P.S. Death Corps Zombie bust as featured in Kitbuilder's Magazine #62, painted by me. For a solid nine months I've been listening to a band called Mastodon. (I feel it necessary to mention this here because this bands music most definitely had an influence on many things I've done creatively as of late.) I simply cannot categorize this bands sound, as it sprawls across the heavy metal, classic and progressive rock provinces; resulting in some of the most unique music I've ever heard. Which in turn leads me to that desired 'someplace else...', I so wish to tap into. I began with the band's 2007 release, ' Blood Mountain'. 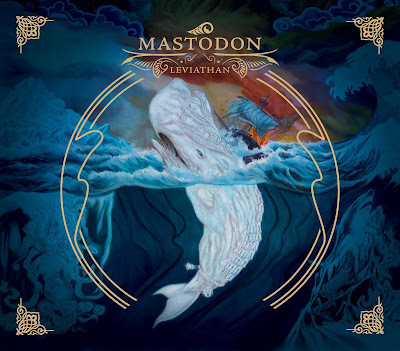 Since this impacting introduction I immersed myself, one by one, into the bands four other albums: Call of the Mastodon, Remission, Leviathan and their latest 2009 release, Crack the Skye. But in my opinion, none topped the experience I gained from Blood Mountain and I can honestly say it's my all time favorite album. To top off the experience there's fabulous artwork and design from Paul Romano. Mastodon's official 'Sleeping Giant' video from their Blood Mountain release. 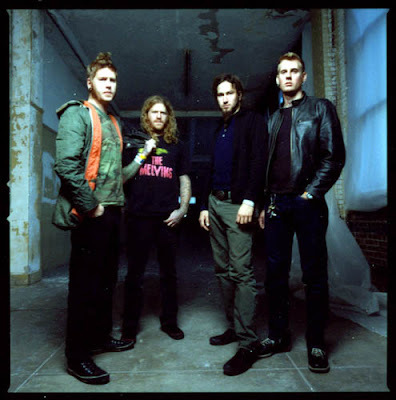 Mastodon's 'Capillarian Crest' video, from the Blood Mountain album; from the Unholy Alliance Tour. And the captivating 'Elephant Man', from their 2003 Remission release. I completed this project in 2005, and I think it's the perfect subject to begin with. Fewture Models: Hopper; A Metamorphosis Addict #1. Sculpted by legendary artist Takayuki Takeya and produced by Fewture in, I believe, the mid nineties. There were three releases from the Metamorphosis Addict #1 series: Hopper, Disaster of Pusher Hopper and Pusher Hopper Special Set. The concept here with Hopper is a person who wishes to inject himself with a brew that results in a metamorphosis into an entirely different creature; here an insect or grasshopper man. Combine this Hopper piece with Disaster of Pusher Hopper and you have a violent confrontation between a metamorphosis drug dealer and the buyer; resulting in dealer being torn in half and his precious brew stolen for a 'quick fix'. This type of bizarre and extraordinary concept was commonplace among the releases from Fewture Models and it's entourage of stellar artists. My version was made to be displayed upon a circular base of wood, various bones from a coyote and epoxy putty. It's also worth noting that the insect appendages on it's back were removed from a praying mantis specimen I bought on ebay. Greetings, everyone! This is the dawn of my blogging experience. I'm a painter and lover of the strange and unconventional. The miscreated, abnormal, fiendish and villainous are things with which I'm very well acquainted; and I intend to showcase the outcome of these relationships here. Thanks goes out to my friend, Norman Meyers, who dragged me from the primordial darkness and into this new place. Please allow for my eyes to take to the light.